Benjamin Franklin only named death and taxes as certain, but channel conflict seems destined to join the list. In our annual State of Partnering report, we ask partners to anonymously tell us their top complaints about vendor programs. The answers are, sadly, very similar year to year. But as the market changes and partner business models evolve, there are always new (and vehement) submissions. 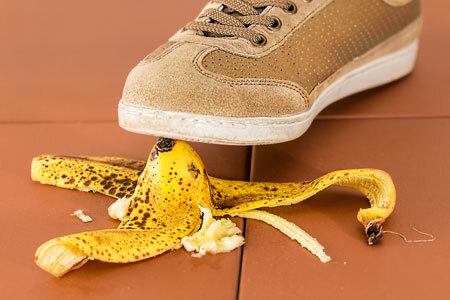 What are the top mistakes vendors make? "Flashy sales initiatives but failure to follow through with support." "Forgetting why they have been brought in the door and putting their needs (i.e. commission, internal recognition) ahead of customer needs." "Frequent changes to channel structure and staffing, inconsistent interaction with partners and channel conflict." "Making programs too unique & complicated; keep it simple and easy to measure." "Not having clear rules of engagement and creating channel conflict with compensation structures and programs." "Not providing an excellent post-sale order and implementation support. They push too much of their process back on the agent." "Over-promise and under-deliver – a failure to set expectations. Also, every vendor wants to speak with the customer, but the job of the partner is to answer the questions on behalf of the customer to save them from having to speak with multiple organizations/sales teams." "Selling the perfect software/solution/platform to the customer when we know it is still beta." "Taking partners for granted in pursuit of higher sales, profits, and pleasing Wall Street; dictating how the relationship will work if you enter into a partnership." "Focused only on the vendor solution instead of solving a customer problem more broadly." "Too focused on top performers and not on growing their entire channel"
"They say they support/embrace partners but in reality just want to reach customers, or don't understand how to embrace a partner program." "Vendors really DON'T understand the 'pay as you go model' for partners." "They talk a great line and then fail to deliver. One minute you are dealing with senior executives and the next minute a greenhorn who has less than 30 days after training to make a quota." "Thinking they will have unfettered access to our sales teams. Mindshare is difficult to get when you have over 20 vendors and millions of SKUs to represent. It's lack of a ground game. Vendors think they can do a training webinar with our teams and the accounts will just roll right in." "Too many sales partners under one channel manager." And finally: "Frequent channel realignments disrupting vendor-partner relationships. If I had $5 for every time I heard, 'I'm your new rep, can I have 20 minutes to learn about your business?' Go read the CRM first! They don't own problems proactively; we sold your thing, now it's not working. I don't want to hear about 'next release cycle' I want to hear 'hot fix.' Bad back-end systems, portal failures, incompetent reps, overseas agents who have poor understanding and ability to solve problems etc. Impenetrable, confusing CRM for partners like [vendor] where it changes annually and there are lots of database exceptions." Get the 2017 State of Partnering report now! And if you're guilty of any of these partnering mistakes, contact us for help.